AdverGroup Web Design and Creative Media Solutions is a local website design and development company serving clients in Buffalo Grove, IL 60089. We develop stunning and professional web designs that conquer search engines. 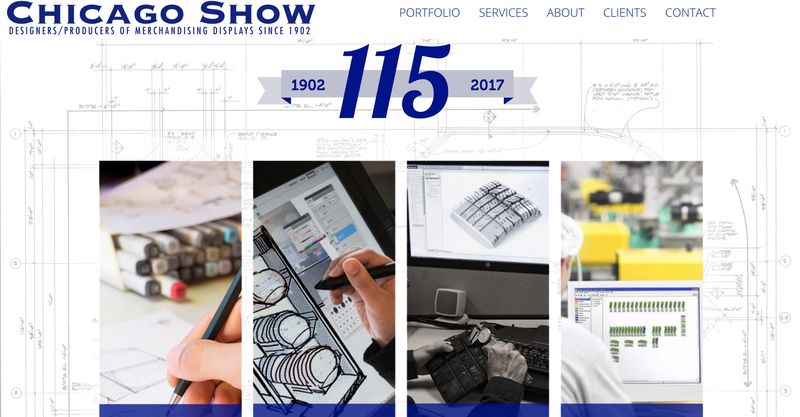 Are you seeking a local web designer in Buffalo Grove? AdverGroup Web Design and Creative Media Solutions is located in Arlington Heights and offers professional web development and search engine optimization services for clients in Buffalo Grove, IL 60089. 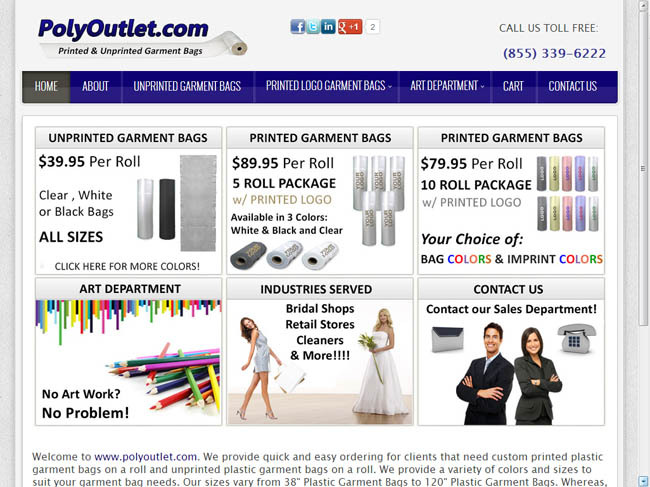 Do you need a local web designer or a web designer based in Buffalo Grove, IL 60089? The real answer in no! As we ourselves, provide web services to clients across the United States. However as an Arlington Heights based Web Design Company, our close to proximity to Buffalo Grove affords us the ability to provide our Buffalo Grove Web Design clients with a face-to-face service. AdverGroup provides businesses with a local option when seeking a web design company local to Buffalo Grove, IL 60089. We work closely with our clients assisting them in understanding the nuts and bolts of what it takes to develop and manage a successful website. Additionally, we offer a long list of additional services that complement our web design services, such as Product & Location Photography. Our Local Buffalo Grove Web Designers will utilize professionally captured images of your business and or services, and will take pride in developing customized website ensuring that your business and/or products, are accurately portrayed on your Joomla or WordPress website design in Buffalo Grove. We have the ability to develop complex and in-depth websites, as well as simple and quick websites! We provide various web design packages that will suit any budget restraints. The best part is, we develop custom proposals and websites in a modular or Ala’ Carte Fashion. This allows clients to execute only the Joomla and/or WordPress website functions that they desire or require! We look forward to speaking with you about how AdverGroup can assist your Buffalo Grove, IL business in the development and success of your website. AdverGroup LLC was contacted by the President of the Buffalo Grove Bills Youth Football Program who needed a new website for their youth football team. 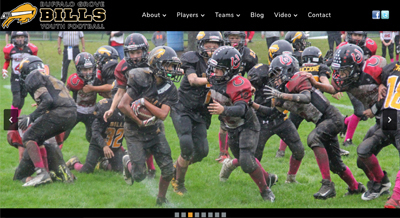 AdverGroup's lead Web Designer John Guccione was thrilled to work on this web design project because he himself played for the same Buffalo Grove youth football program as a child. Furthermore, our Arlington Heights web design company is right next door to Buffalo Grove and enjoys keeping active in our local community. 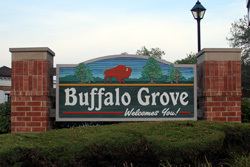 The town of Buffalo Grove was named for Buffalo Creek, which was itself named for bison bones found in the area. 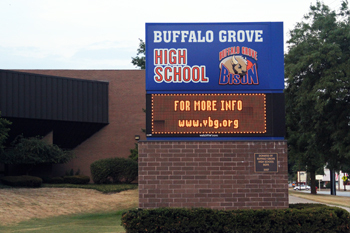 The origin of the name "Buffalo Grove" is uncertain, but the traditional account is: "When the English, French, and Pottawatomi Indians were ranging through northeastern Illinois, so were the buffalo. The buffalo left the Wheeling woods in the morning and grazed their way diagonally to Long Grove. Noon found them in a grove of trees along the creek—drinking and resting. A buffalo skeleton was found beside the 'Buffalo Creek,' as it soon became called.